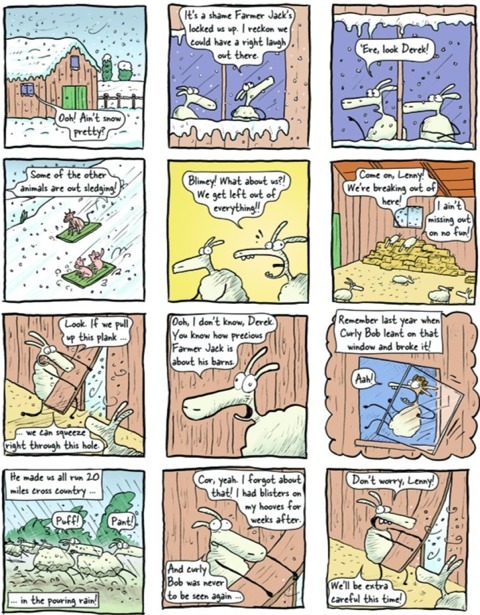 As a bit of fun to celebrate the Chinese New Year of the Sheep - and the release of the Aardman Animation movie version of Shaun the Sheep - here are my Top Ten Sheep Comics. Among these that didn’t make it to the top are Marvel’s Sheep-Boy (above), the Spider-Man of Earth-9792 whose Peter Parker was bitten by a radioactive sheep in What If? #100, appearing only in a mock-up cover created by Andrew Pepoy, or Marvel’s funny animal version of super-spy organisation S.H.I.E.L.D., known as S.H.E.E.P. on Earth-8311. 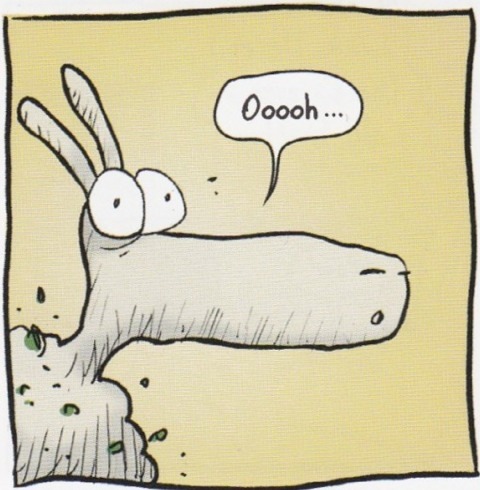 I also omitted the 2007 Jack Chick tract entitled Poor Little Lamb (above), as the titular baby sheep in this religious mini-comic plays only a brief sacrificial role. So without further ado, here’s my Top Ten counting down in reverse, and let me know what are your favourite sheep in comics! This rather charming and amusing comic strip runs daily in newspapers and is posted online at Go Comics website. 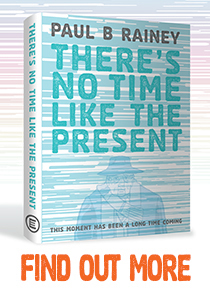 Thompson invites us to follow the exploits of one plucky sheep who leaves the flock behind to experience a bigger world. Proimos put out three of these younger readers’ books starting in 2001 through Harcourt. All of them have been compiled with a new story and other extras last year into this compendium from HMH Books for Young Readers. Found on the doorstep as a lamb, Johnny is named and raised by Momma Mutton, who never notices that he is in fact a sheep, not a human. 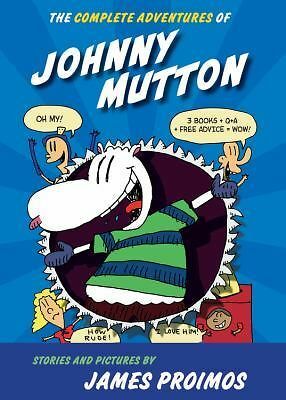 This series was also translated by Gallimard into French as Johnny Mouton. 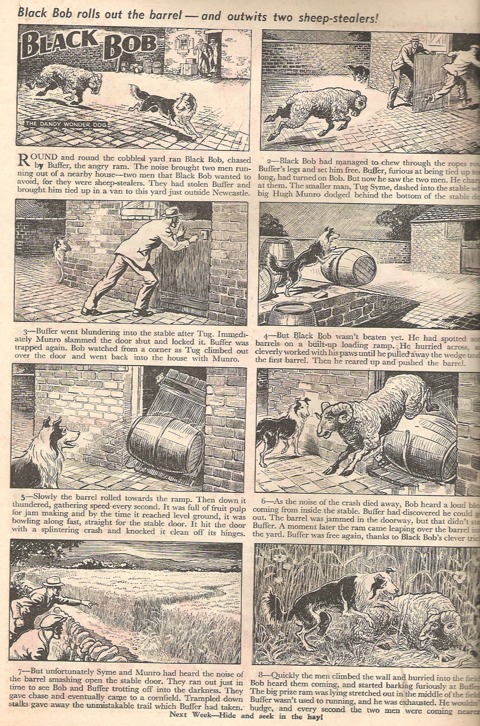 The great British picture strip serial about the border colly sheep dog BlackBob was deftly illustrated for years by Jack Prout in the late lamented British weekly The Dandy. Not surprisingly, sheep figured quite prominently and in this episode, a particularly aggressive ram named Buffer joins our canine hero on the run from a pair of shifty sheep-stealers. With thanks to Peter Gray, who offers his commentary here. 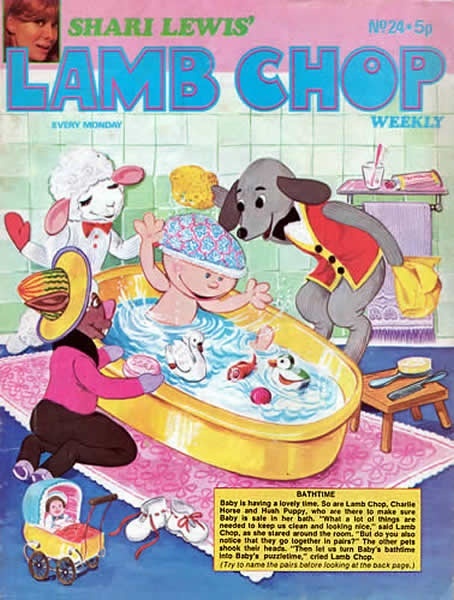 Fondly remembered from her TV appearances, Lamb Chop was a knitted-sock celebrity and co-star with ventriloquist Shari Lewis. In the early Seventies, she headlined in her own British weekly nursery comic, sorry no idea of credits for this one. New Zealand-born Ball serialised this newspaper strip from 1975 to 1994, continuing in books until 2000. 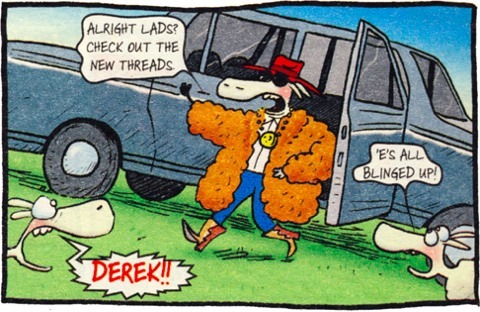 As with Black Bob above, Footrot Flats also focussed on the life of farmer Wal Footrot and his sheepdog, called “Dog”, but among the supporting cast were several sheep, including Cecil the Ram, an ageing stud ram, past his prime. Debuting in 1995 in the Wallace & Gromit animated cartoon A Close Shave from Aardman Animation, Shaun the Sheep went on to star on the children’s channel CBBC in 130 seven-minute episodes starting in March 2007. That was the month he got his own comic from Titan Magazines. 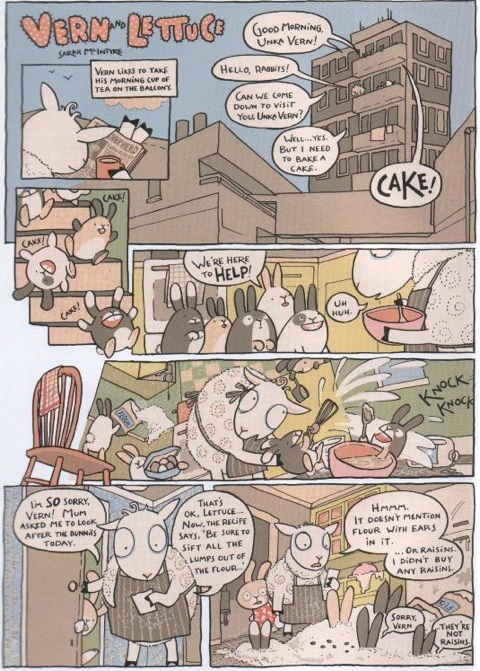 Here are some examples of the strips inside, illustrated by Pickled Jo. 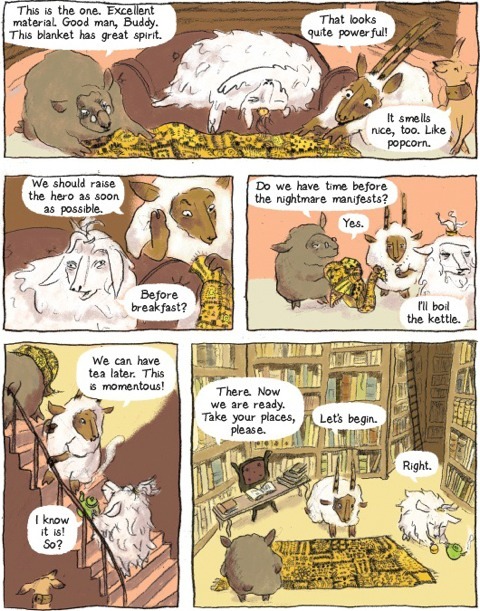 “When you are afraid to fall asleep, when all your dreams are nightmares, write us a letter, put it under your pillow, we will rescue you…” That’s the wonderful premises of Viviane Schwarz‘s graphic novel from Walker Books in 2013. For years, these three magical sheep have been coming to the rescue of children having nightmares, but now they are getting old and it’s time to train their replacements. 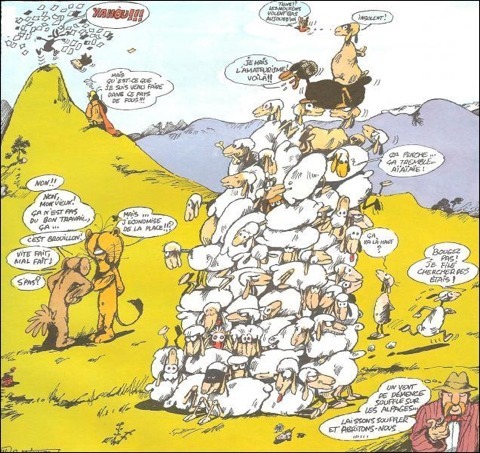 Known as La Genie des Alpages in the original French, the cartoonist F’Murr, pen-name of Richard Peyzaret, has penned no less than fourteen albums since 1973 of one of the most deliriously surreal and witty comics in the world, none of them ever translated into English. This one panel above gives some flavour of the absurdities of this tour de farce! Over on French Wikipedia there is even an A to Z of all the sheep in the series, from Abousimbelle to Zobéide, more than 200 of them! Happy Chinese New Year of the Sheep to you all!